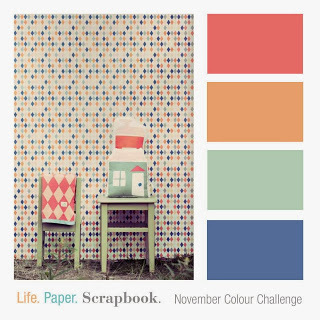 I love this fresh and fun color combo used for the Life.Paper.Scrapbook. color challenge! 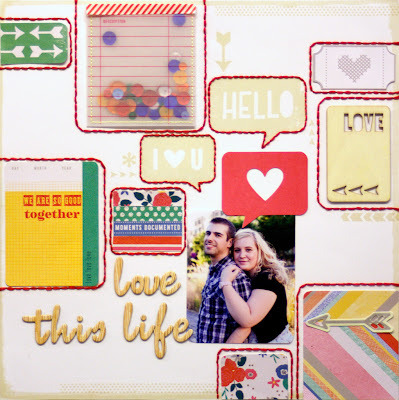 I love Amy Tan's new Cut & Paste collection, and thought it would be perfect for this fun color combo. Want to play along with us? This month's sponsor is Big Picture Classes! 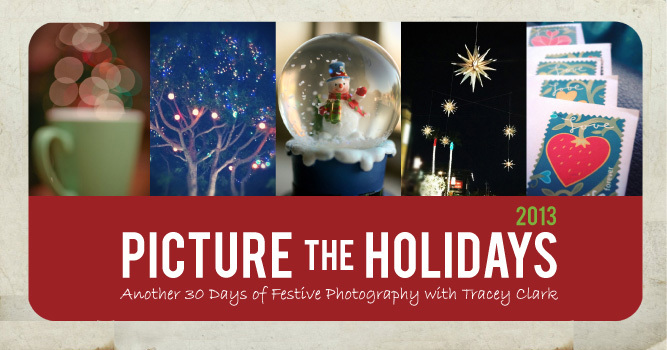 This 31-day workshop, from photographer and author Tracey Clark, is the perfect remedy for the holiday hustle. And it's a great companion workshop to keep you inspired throughout any holiday scrapbooking challenge, such as Ali Edwards' December Daily project or the Big Picture Classes workshop, Twelve Days of Christmas: December Duos. 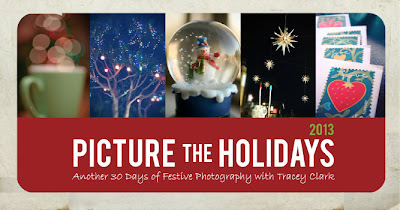 Love that so many of us used the Cut & Paste collection for this challenge. Way to go with all that wonderful stitching! 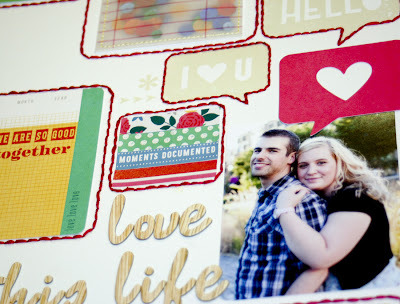 This page is so fab, Allie!! Love the way you used that Amy Tan background paper and added the stitching!! Super awesome page, Allie! Great stitching! Love it Allie- that stitching is crazy-good! I just really love triangles.